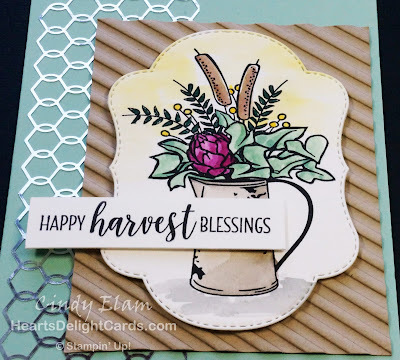 Heart's Delight Cards: Oh, Happy Day - Sneak Peeks! 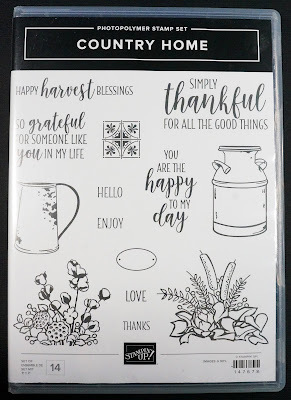 A big cardboard box full of HAPPY arrived a couple days ago, and after I made up samples of all the new Holiday catalog DSP to send to my downline, I finally got to play with the goodies. 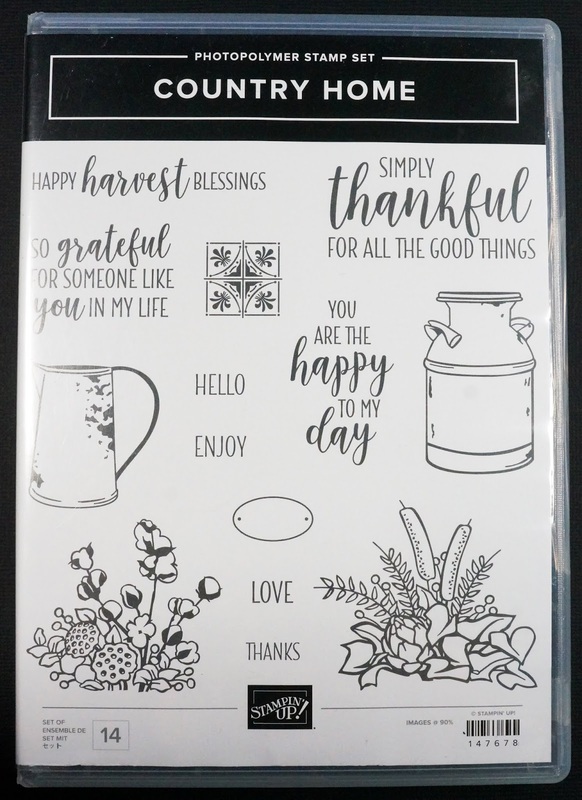 One of them is the new Country Home photopolymer stamp set, which is part of the Country Lane Suite. It is to-die-for! The suite includes beautiful Country Lane DSP, Chicken Wire Elements, an awesome Tin Tile Dynamic TIEF and Galvanized Metallic Paper (I'll share that tomorrow), and other embellishments that I don't have.... YET! Anyhoo, I couldn't wait to play with the Corrugated Dynamic TIEF (part of the Festive Farmhouse Suite), and do a little water coloring of those gorgeous images. 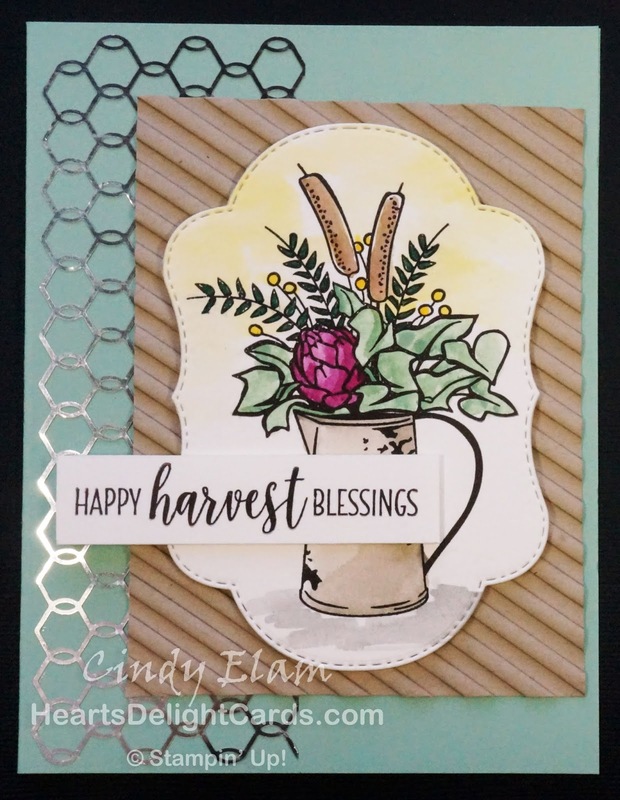 I chose colors from the DSP, because I had originally planned to use some for the background, but then I got the idea to use chicken wire and a corrugated bits. The middle sized frame from the Stitched Seasons Framelits fit the image perfectly! I did run it through the Big Shot twice, since it was thicker watercolor paper. This suite is going to get a lot of use here, I can tell. Be sure to check back tomorrow for some galvanized fun! Reminder: Some of the items listed below won't be available until the Holiday catalog goes live on September 5th!